Fireweed blooms in an emerging meadow on the Sylvan Pass to Fishing Bridge road. Fireweed (Chamerion angustifolium) grows among the fallen branches of burned Lodgepole Pine in the forest alongside the road from Sylvan Pass to Fishing Bridge. This area burned in the 1988 Yellowstone Park Forest Fire that burned 70% of the park’s forest and threatened the lodge at Old Faithful. 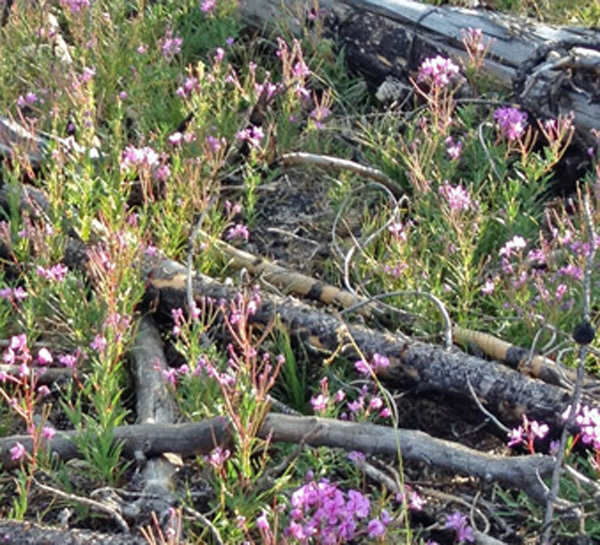 The purple blooms of Fireweed are a sign of recovery from the fire. In many areas of the park, especially in the river valleys, an intermediate forest (saplings 1-2 inches in diameter) has returned, and Sylvan Pass is no exception. In the distance, recovering forest along Sylvan Pass. On left, a survivor of the 1988 fire; on right, trees killed by the fire. The 1988 fire burned everything along Sylvan Pass. Green appears again as the forest recovers, but many stands of dead Lodgepole Pine remain. 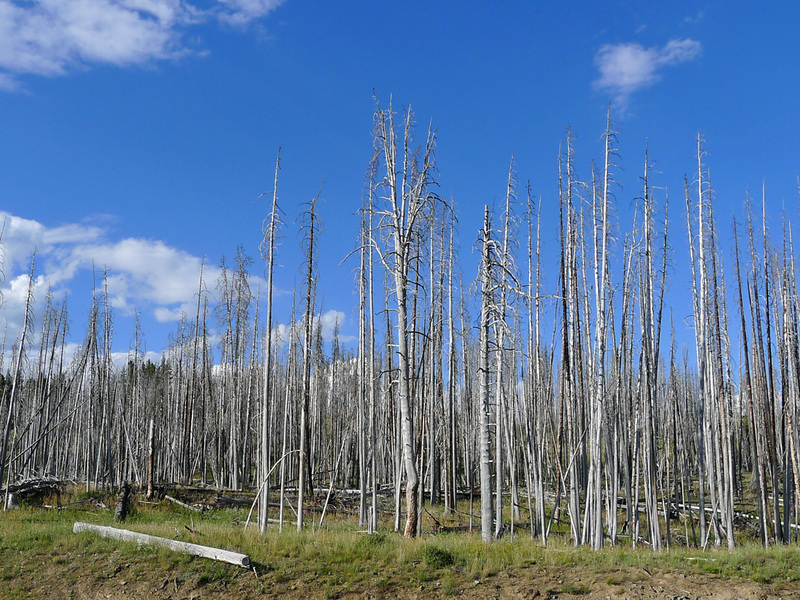 A stand of Lodgepole Pine killed by the 1988 Yellowstone Park fire. Fire is a natural occurence in forests; any attempt to eliminate forest fires is bound to fail. The 1988 fire was started by lightning, but augmented by a careless camper’s unattended camp fire. The park was a grim sight in the early 1990s when I visited, it looks beautiful now, 24 years after the fire. 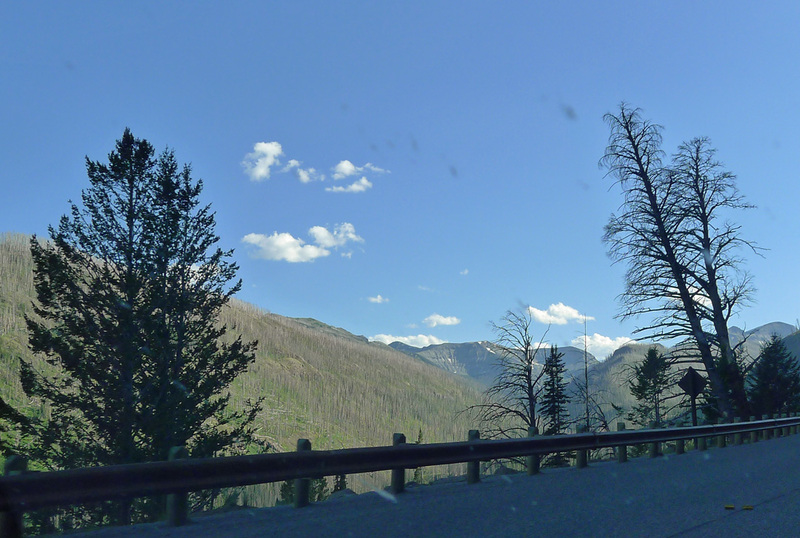 This entry was posted in Montana, Travel Blog and tagged Forest Fire, Montana, Sylvan Pass, Travel, Vacation, Wyoming by carto. Bookmark the permalink.